The history of Afghanistan is largely military history. From the Persians and Greeks of antiquity to the British, Soviet, and American powers in modern times, outsiders have led military conquests into the mountains and plains of Afghanistan, leaving their indelible marks on this ancient land at the juncture of Europe, Asia, and the Middle East. In this book Ali Ahmad Jalali, a former interior minister of Afghanistan, taps a deep understanding of his country’s distant and recent past to explore Afghanistan’s military history during the last two hundred years. 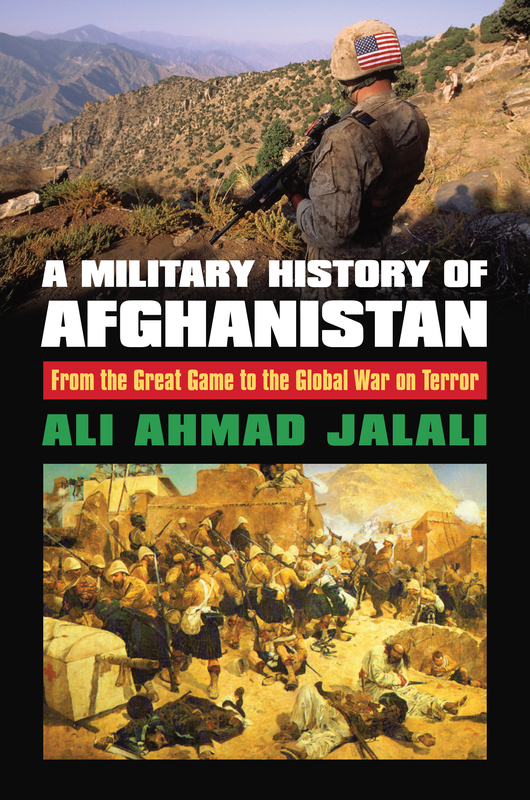 With an introductory chapter highlighting the major military developments from early times to the foundation of the modern Afghan state, Jalali’s account focuses primarily on the era of British conquest and Anglo-Afghan wars; the Soviet invasion; the civil war and the rise of the Taliban; and the subsequent U.S. invasion. Looking beyond persistent stereotypes and generalizations—e.g., the “graveyard of empires"”designation emerging from the Anglo-Afghan wars of the 19th century and the Soviet experience of the 1980s—Jalali offers a nuanced and comprehensive portrayal of the way of war pursued by both state and non-state actors in Afghanistan against different domestic and foreign enemies, under changing social, political, and technological conditions. He reveals how the structure of states, tribes, and social communities in Afghanistan, along with the scope of their controlled space, has shaped their modes of fighting throughout history. In particular, his account shows how dynastic wars and foreign conquests differ in principle, strategy, and method from wars initiated by non-state actors including tribal and community militias against foreign invasions or repressive governments. Written by a professional soldier, politician, and noted scholar with a keen analytical grasp of his country’s military and political history, this magisterial work offers unique insight into the military history of Afghanistan—and thus, into Afghanistan itself. Ali Ahmad Jalali, is a Distinguished Professor at the National Defense. He is the author of Afghan Guerilla Warfare: In the Words of the Mujahedin Fighters and coauthor of The Other Side of the Mountain: Mujahedin Tactics in the Soviet-Afghan War.